Right before Memorial Day I shared my Summer Bucket List. As I recapped last week, not everything on the list got accomplished, but it was one heck of a good summer. Having the list in the back of my mind helped me to fully appreciate the season and the opportunities, so I decided to create one for fall as well. I love to send mail, and try to make it a point to get some sort of written card out to a handful of friends every month. I want to bump that up a notch though and make it a goal to send one small surprise gift to a friend or two this season. Each fall growing up we headed to the farmer’s market, chose our pumpkins, and sat outside on the porch carving our designs. Inevitably, my brother would pick the most difficult pattern, and I usually chose whatever cat design happened to be in that year’s kit. (You’re shocked, I know.) These days, the fall season gets so busy I usually forget it’s pumpkin carving time until Halloween (which also happens to be J’s birthday) is right around the corner. This year I’m making it a goal to take advantage of a cool autumn day and carve pumpkins with J outside on the patio. This is vague, I know, but over the summer I set a lofty goal of 8 books for myself and only got to 5. Despite the fact that I really do love to read, I’m the worst at making time to actually sit down and do it. Knowing that the season ahead is already looking to be a busy one, I’m going to scale back my expectations and just make reading a higher priority on my list. I love to cook and bake, but in our previous little nest our kitchen was pretty much non-existent, which took a bit of the fun out of it. Now that I’m in a kitchen I can turn around in and actually have enough cabinet space to store all my supplies, I’m looking forward to baking up some fun treats to enjoy and share. Like many other states around the country, Maryland’s craft beer scene has really been flourishing. We have a couple of breweries close-by, and I’d love to go check one out. Jailbreak Brewery is at the top of my list. As a former marching band member, nothing makes me more nostalgic for the fall season than the sound of a drum cadence at a football game. I couldn’t care less about watching the actual game, but the lights, sounds, and smells bring back some wonderful memories. We live in a world where digital photos disappear into a computer never to be seen again. I used to love scrapbooking, and while that hobby has probably seen better days from me, I’d like to at least get my photos from the summer into an album. Whether I do it myself or order it from Shutterfly may be determined at a later date, but I’m making it a goal to get them captured in print. With the temperatures cooling down and the leaves starting to change colors, there’s no better time to head outside for a hike at a local park or forest. As many of you know by now, we moved in August. After our move, we promptly left for ten days in Europe, returning just in time to get thrown back into work and end of summer craziness. We’ve unpacked and are starting to get into a groove around our new place, but we are still getting things organized and decorated. By Thanksgiving (when it is time to put out Christmas decorations!) I’d like to have the apartment cozy and situated. For those who may have not just gone through a move, fall is also a great time to take on an improvement project around your home or freshen up some tired decor. What’s on your bucket list this season? Anything I should add to mine? 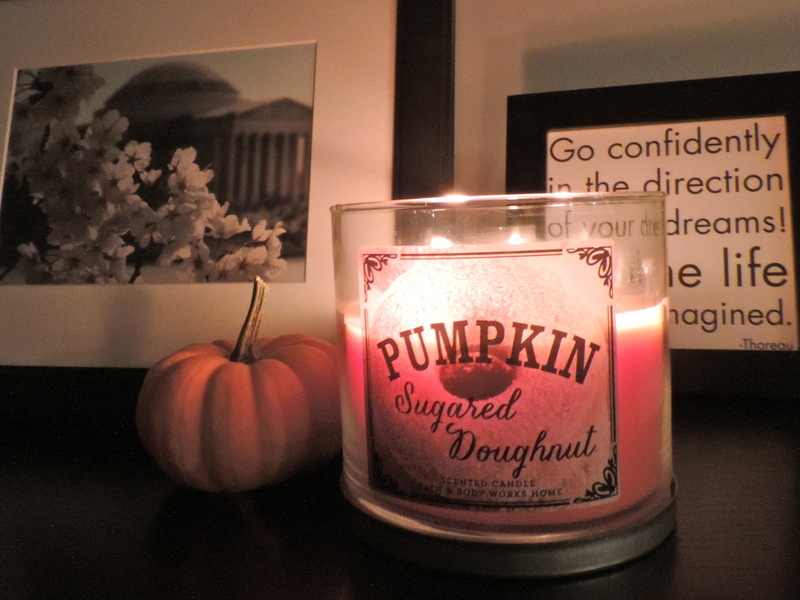 What are you baking/crafting/reading/loving this fall? This entry was posted in Bucket Lists and tagged annapolis, autumn, autumn bucket list, baltimore, bucket list, bucket list for couples, dc, fall, fall bucket list, fall bucket list for couples, lifestyle, maryland, md, va, virginia, washington dc on September 23, 2014 by loveinalittlenest.